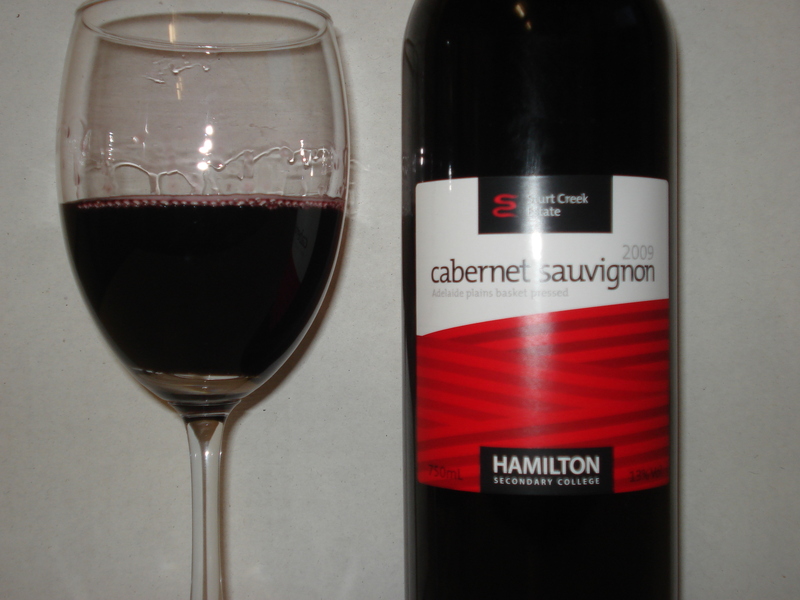 One balmy evening at Hamilton Secondary College in the Adelaide suburb of Mitchell Park I joined fellow wine enthusiasts to bottle the 2009 Sturt Creek Estate Adelaide Plains basket pressed cabernet sauvignon. I was there to assist the current winemaking class – twice a year tutor Strat Koultras runs an adult’s winemaking course on the school grounds, complete with its own vineyards, and small-scale winemaking and bottling equipment. I did this very course back in 2007 and love keeping involved with people who share my passion for all things wine. 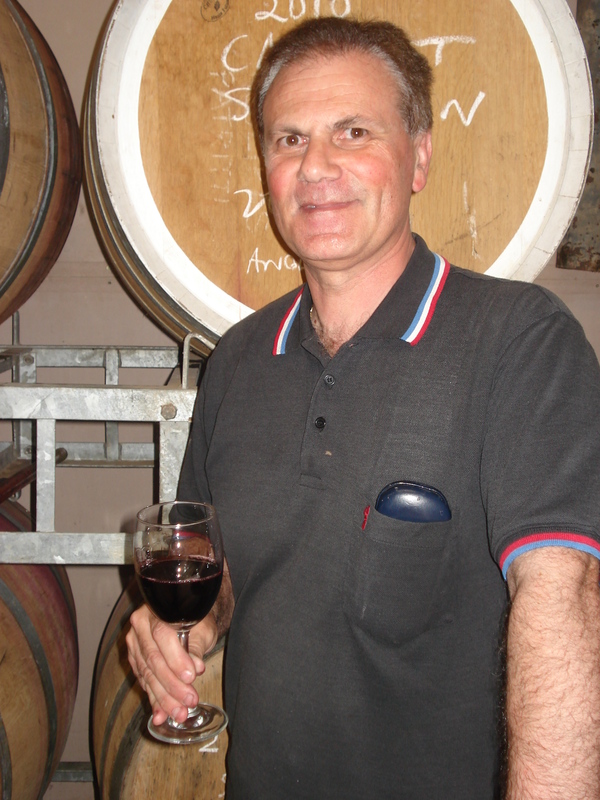 Not only does Strat teach people how to make good wine, he shares his own passion in a relaxed and friendly, yet very informative way. My ex-tutor is now a friend not only to me but to many of his ex-students. I would recommend this course to anyone who wants to be involved in a small-scale winemaking endeavour and learn more about every stage of the process, from grape growing and picking, through all stages of making and testing the wine, to bottling. 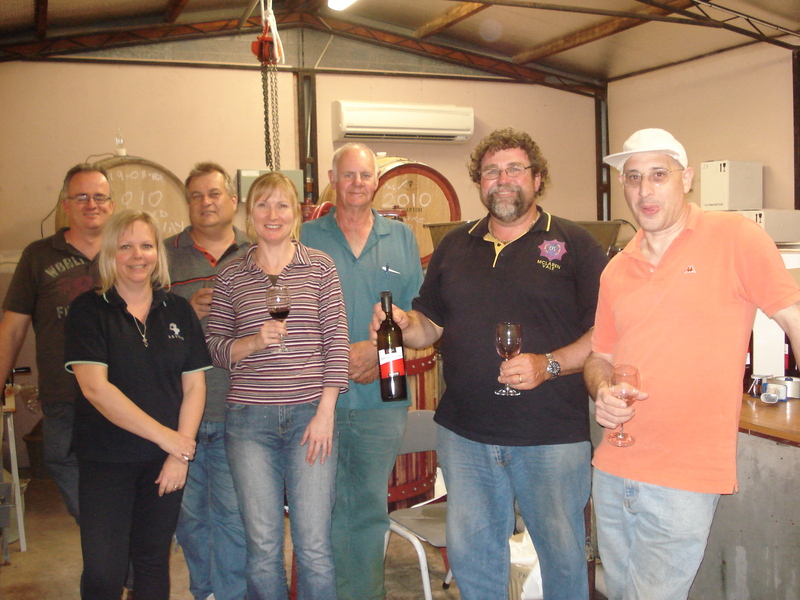 Between the eight of us we got an efficient production line going and bottled a 300 litre barrel of cabernet sauvignon, waking it from its 12 month maturation in American oak. Of course we had to give it a try after our ‘hard’ work – as pictured, it was a beautifully dark purple and the nose was rich and generous with berry fruits, cherries, plums and a light spice. The palate was full bodied with dark berry fruit sweetness, grippy tannins and a long, dry finish. I am going to cellar my bottles (my ‘pay’ for bottling!) even though great drinking now, I reckon a few years will see it just right. Also sitting in barrels all around us was the 2010 chardonnay about to go through malolactic and the 2009 shiraz. I am right there when the next bottling is booked! This entry was posted in Cabernet sauvignon, McLaren Vale wine, South Australian wine, Winemaking, wine appreciation and viticulture courses and tagged Australian wine, Hamilton Secondary College, South Australian wine, Sturt Creek Estate, Wine, winemaking. Bookmark the permalink.